Mexico City; April 17, 2018.- Viva Aerobus, Mexico's ultra-low cost airline, announced its new route Morelia-Monterrey, one more effort to boost the country's tourist industry within the framework of the 43rd edition of the “Tianguis Turístico” (Tourist Market). Tickets for this route, starting operations in early October with two weekly flights (Tuesday and Saturday), are already available from $748 pesos. 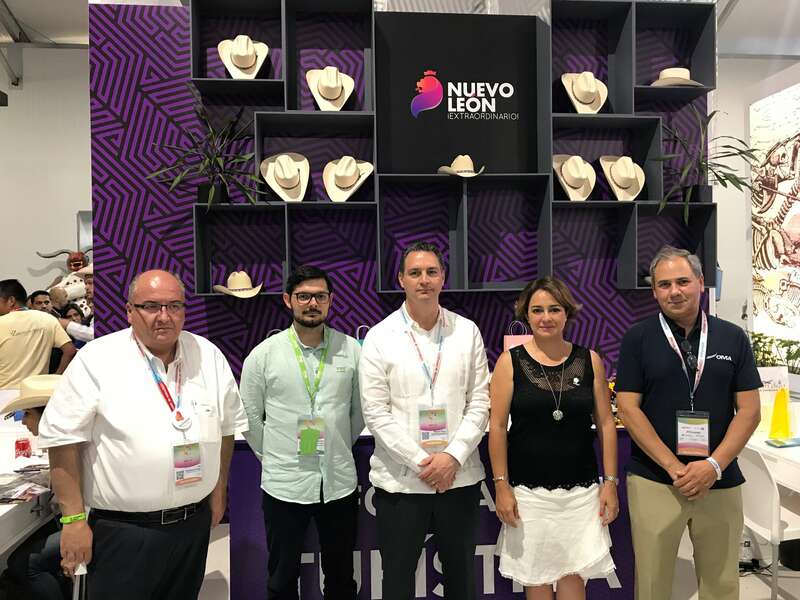 The announcement of this new route was attended by the head of the Secretary of Tourism of Michoacán, Claudia Chávez, and the Subsecretary of Tourism of the Secretary of Economy and Labor of Nuevo León, Miguel Cantú. Secretary Claudia Chávez mentioned that Michoacán is an attractive destination for air connectivity. She said that the opening of this new flight shows that in Michoacán passenger traffic has recovered significantly. Besides, this new route is expected to increase the arrival of tourists and visitors to the state. In this sense, Viva Aerobus will offer more than 38 thousand seats during the first year of operations with a service that is distinguished by having the most competitive prices in the market, allowing travelers to use more resources in the destinations they visit, thus encouraging a local economic spill. "We are very happy with this new route that will help us to strengthen the destination and to continue growing in the various tourist segments of Nuevo León", said Subsecretary Miguel Cantú. "We are proud to be the only ones to offer this key air connection, thus reinforcing our role as strategic allies of tourism," said Rubén López, Director of Route Planning for Viva Aerobus. Secretary Chávez López pointed out that connectivity is of great importance for the tourist and economic development of Michoacán: "it is one of the pillars that explain tourism development in Mexico and the world". Moreover, Subsecretary Miguel Cantú said that this is a great opportunity to continue promoting the proximity between both destinations. “Morelia is going to host the 5° “Feria de Pueblos Mágicos”, as we just did. We did very well, we broke attendance records and we are sure that these flights will help us to increase the number of visitors to our destinations". With this announcement, Viva Aerobus will start operations on 9 new routes during this year, offering a total of 91 routes (8 international and 83 national) to 37 different destinations. Finally, Secretary Chávez mentioned that, according to the figures of Grupo Aeroportuario del Pacífico (GAP), during the first three months of 2018, the Morelia International Airport attracted around 178 thousand 900 passengers. That is 32 thousand more than in the same period last year, when the total flow was of 146 thousand 800 people. This indicates that the Morelia International Airport closed the first quarter with a good balance, registering an increase of 21.9% in national and international passengers. Passengers can buy their tickets on the official website of Viva Aerobus: https://www.vivaaerobus.com/en, in VivaTiendas, calling the Call Center 0181 82 150 150 or at any point of sale of Grupo IAMSA such as on Omnibus de México, ETN, TAP, Primera Plus, Aers, TMT Caminante, La Línea and Autovías. Viva Aerobus Viva Aerobus is Mexico's low-cost airline. It started operations in 2006 and today operates the youngest Latin American fleet with 25 Airbus A320, including two A320neo on 91 routes and 37 different destinations. With a clear vision to give all people the opportunity to fly, Viva Aerobus has democratized the airline industry with the lowest rates in México and the lowest costs in Latin America, making their flights the best value offer.